BACKSTAGE TOUR: Ring of Fire - See everything behind the red curtain! 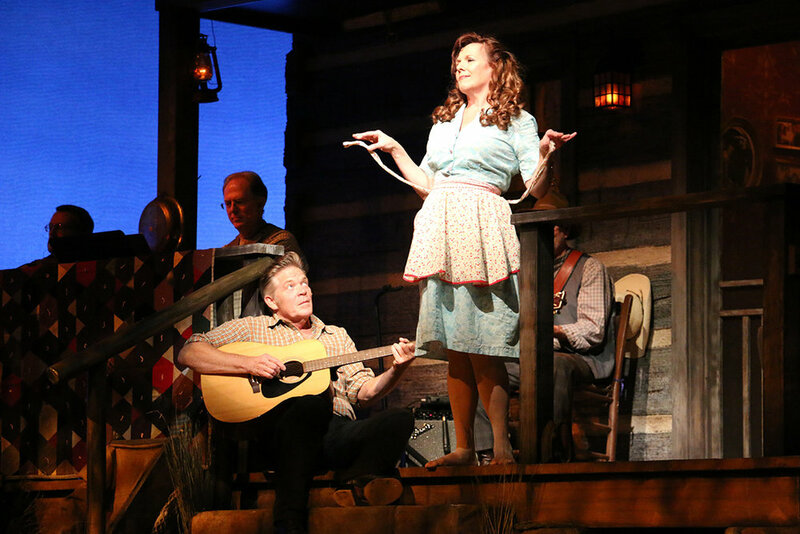 Allison Briner-Dardenne was recently in the company of the Broadway production of Steve Martin and Edie Brickel's Bright Star. Other Broadway credits: Mamma Mia! 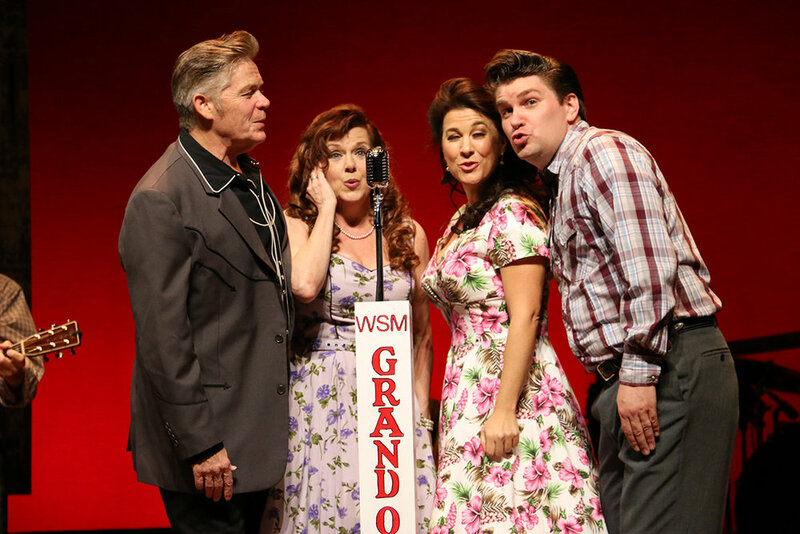 at the Wintergarden and Follies, Broadway production at the Ahmanson in L.A. National Tours: Mamma Mia!, Les Misérables, Titanic…A New Musical, White Christmas. Off-Broadway: Forbidden Broadway, Return to the Forbidden Planet, Song of Singapore, Forbidden Hollywood, Listen to My Heart, Jacques Brel...THE 25th Anniversary. 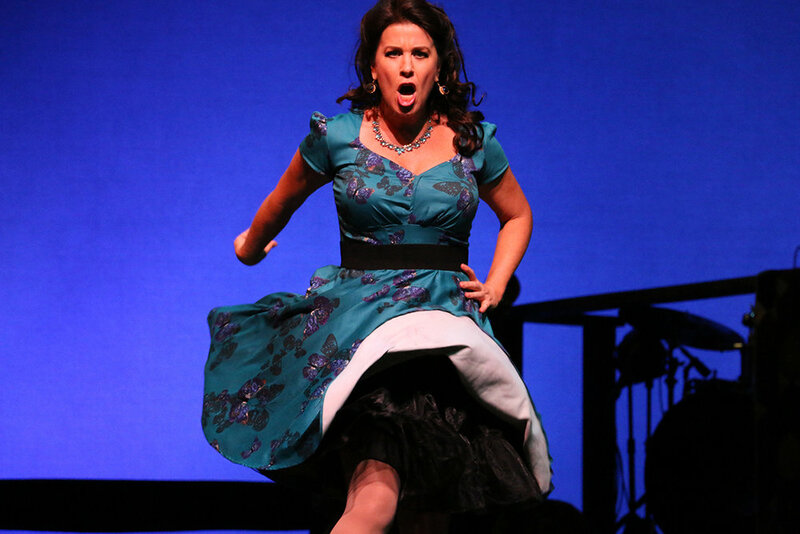 Over 30 regional theatre credits, including Tinyard Hill at Theatreworks at Palo Alto, where she won the Bay Area Theatre Critics Circle Award for Supporting Performance by a female in a musical. TV credits include: “The Carrie Diaries,” “Law and Order and SVU,” “All My Children,” “One Life To Live,” and many national commercials. Concert credits include solo performances in the Indianapolis Symphony's Pops Goes Las Vegas, which tours symphony halls across the US and Canada. Jason Edwards is pleased to be back at Riverside Theatre for this, his third production. Other performances here include: Pump Boys & Dinettes and A Sanders Family Christmas. As guest director, his work has been seen in theatres across the United States including Cincinnati Playhouse, Denver Center Theatre, Actors' Theatre of Louisville, Repertory Theatre of St. Louis, Arkansas Rep, Florida Studio Theatre, Clarence Brown Theatre, La Mirada Theatre, Alabama Shakespeare Festival, Chicago's Marriott Theatre, Totem Pole Playhouse, Casa Mañana Theatre, Virginia Stage Company, Barter Theatre, Maine State Music Theatre, FCLO Music Theatre, Cabrillo Music Theatre, Flat Rock Playhouse, among others. 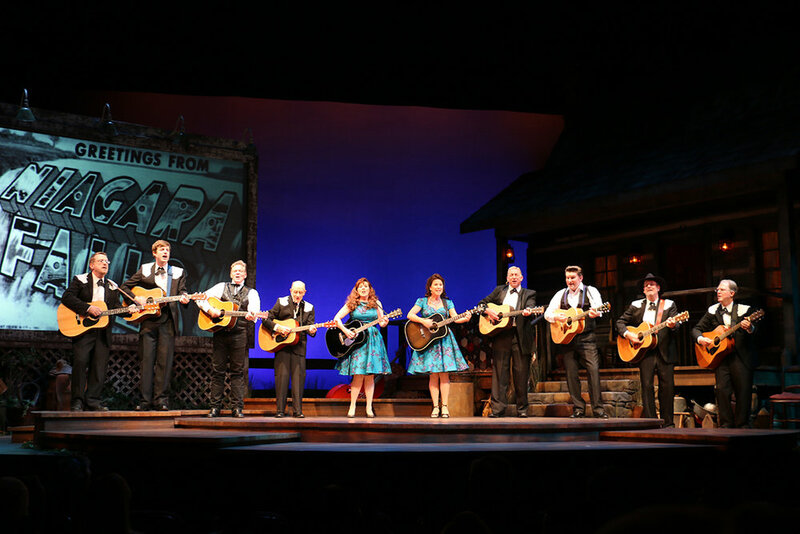 On Broadway, Jason starred in Ring of Fire and is featured on the original cast recording. He was also Assistant Director to Richard Maltby, Jr., and Co-Adapter of the Small Cast Edition of Ring of Fire. 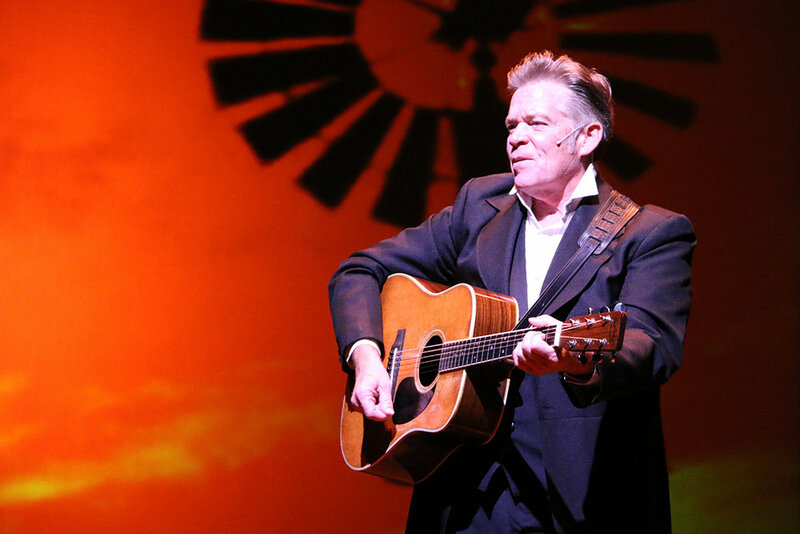 He has toured nationally in Pump Boys and Dinettes (also director), The Will Rogers Follies (with Larry Gatlin) and Man of La Mancha (with John Raitt). 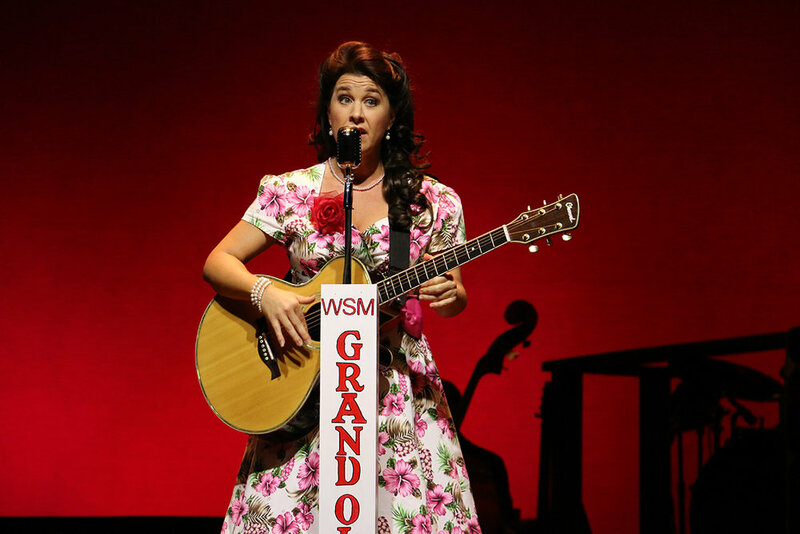 Off-Broadway credits include: Of Mice and Men, Johnny Guitar, Honky Tonk Angels and Cowboy. On television he's been featured on NBC's “Today Show,” Country Music Television (with Ricky Skaggs), MTV (with Lou Reed). Jason has received a Florida Theatre Award (The Music Man), as well as nominations for Chicago's Jeff Award (The Will Rogers Follies) and Los Angeles Ovation Award (Ring of Fire). Originally from North Carolina's Blue Ridge Mountains, he now lives in New York City. Walter Hartmann originally from Johnson City, Tennessee, Mr. Hartman is a graduate of the Berklee College of Music in Boston and has lived and worked in Nashville since 1979. Theatre performances include Ring of Fire at Cincinnati Playhouse, The Repertory Theatre of St. Louis, Alabama Shakespeare Festival, Denver Center for the Performing Arts, Casa Mañana Ft. Worth, and Arkansas Repertory Theatre. He has played at conventions, concerts, clubs, festivals, and on television with Lee Greenwood, Unknown Hinson, Brenda Lee, Del Reeves, Minnie Pearl, Jeannie Seely, Jack Green, Connie Smith and a 1982 World Tour with pop/rock group Dr. Hook. He has recorded with Dr. Hook, Brenda Lee, Johnny Paycheck, Jo-El Sonnier, Craig Duncan, Joe Sun, and John England & the Western Swingers. Brantley Kearns was born and raised in North Carolina. He began playing violin at age 4 and continued classical training on the instrument through high school. By age 10 he was starting to play traditional fiddle tunes of the Southeast, learning first hand from the veteran fiddle players at local square dances where his father was a frequent caller and dance promoter. 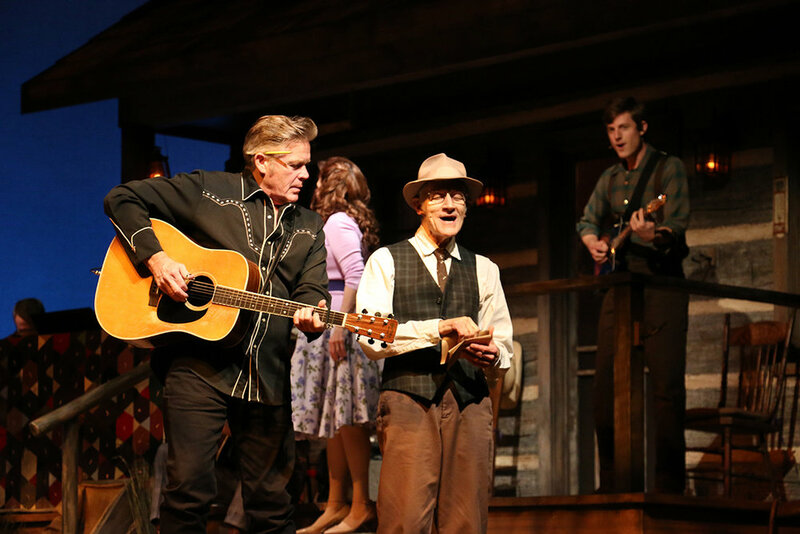 After a year at University of North Carolina at Chapel Hill, Mr. Kearns traveled west where he attended Merritt College, studying drama and simultaneously becoming part of the bluegrass music scene in the Bay Area of the late ‘60s and early ‘70s. In 1973, he received a call to join the David Bromberg Band in New York. Returning to L.A. in late 1976, he was soon working with numerous country bands during the heyday of the original Urban Cowboy era. He toured with Bobbie Gentry and Jim Stafford during this period. Mr. Kearns recorded and toured with Dwight Yoakam’s original band from 1984 to 1988. He also toured and recorded with Billy Joe Shaver, Dave Alvin, Heather Myles and Rick Shea. 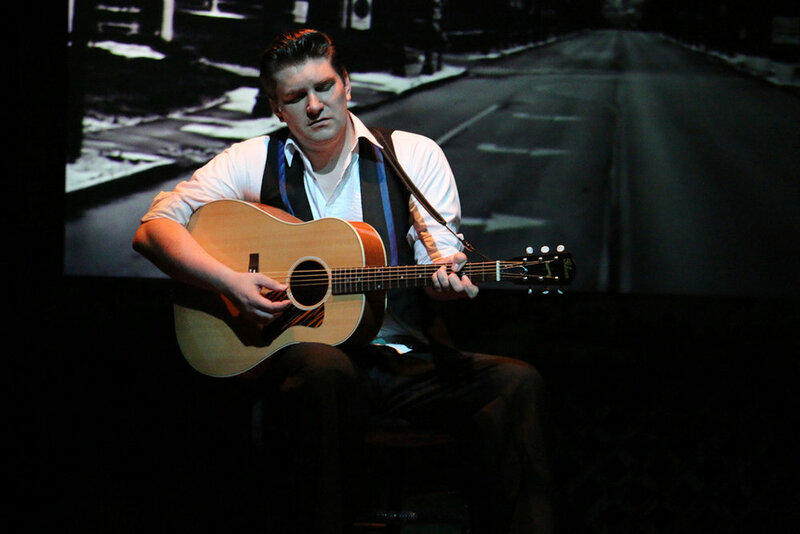 Jeff Lisenby music directed, arranged, and performed in Ring of Fire on Broadway. 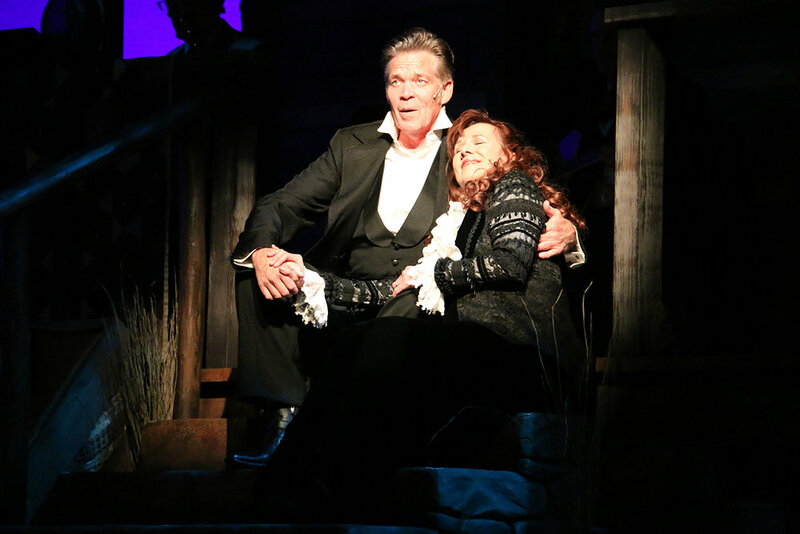 He has performed with touring shows of: Wicked and Jersey Boys, and has accompanied: Little Anthony, Brenda Lee, Blake Shelton, Pavarotti, Dolly Parton, and Donna Summer. He has been blessed to get to play Carnegie Hall, the Kennedy Center, and the Ryman Auditorium. Jeff twice won silver medals in International accordion championships, taught for years at Belmont University, and plays on numerous recordings, including the Grammy-winning Songs from the Neighborhood—the music of Mister Rogers, and his own: Walkin’ The Winter Wonderland and A Spy in Tortuga. John Marshall is thrilled to perform Ring of Fire under the superb direction of Jason Edwards and expert musical direction of Jeff Lisenby. 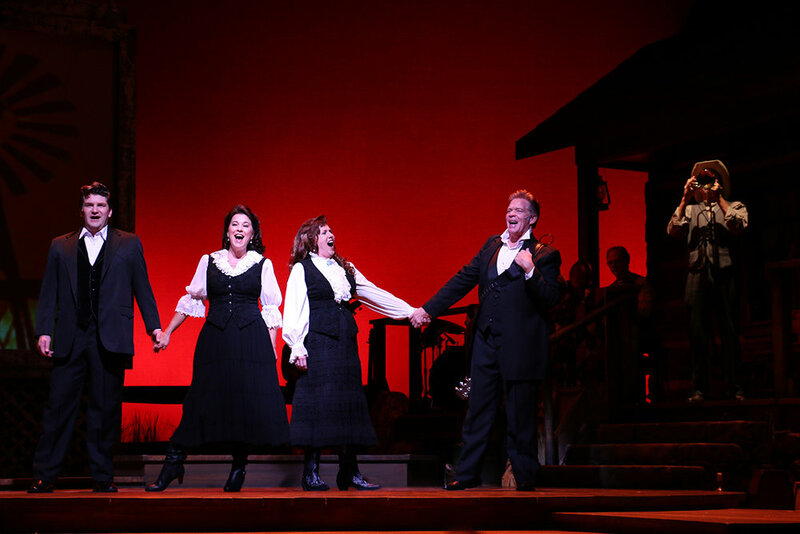 Ring of Fire engagements include the Arkansas Repertory Theatre, Repertory Theater St. Louis, Cincinnati Playhouse, and Denver Center Theatre. John has appeared as soloist with orchestras across the U.S., including the Los Angeles Philharmonic, Buffalo Philharmonic, Grand Rapids Symphony and Houston Symphony. He studied violin and composition with legendary concert violinist Robert Gross at Occidental College. John began his studies with famed music pedagogue Ervin H. Kleffman. Folk musician Craig Burton Bluemel mentored John in slapping bass fiddle. 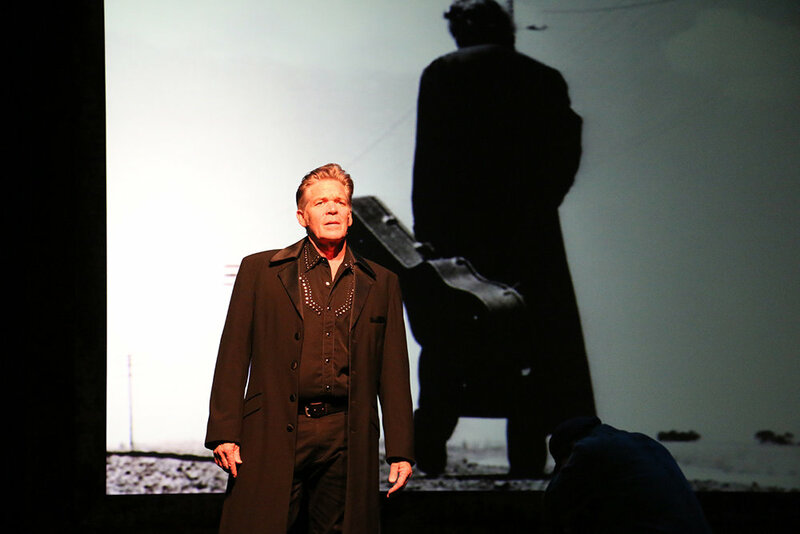 In 2006 Brent made his Broadway debut at the Ethel Barrymore Theatre (NYC) in Ring of Fire, the Songs of Johnny Cash. Other productions include the world premier of Ring of Fire, Studio Arena Theatre, Buffalo, NY, 2005; West Coast premier at the La Mirada Theatre for the Performing Arts, 2009; FCLO’s Plummer Theatre, Fullerton, CA, Center for the Arts, Escondido, CA, 2010; Arkansas Repertory Theatre, 2011; Cabrillo Music Theatre, Thousand Oaks, CA (Cast Ovation nomination), Fox Theatre, Riverside, CA, Denver Center for the Arts, Denver, CO, Casa Manana Theatre, Fort Worth, TX, 2012; Alabama Shakespeare Festival, 2013; Totem Pole Playhouse, Fayetteville, PA, The Repertory Theatre of St. Louis, 2014; Cincinnati Playhouse in the park, 2015.